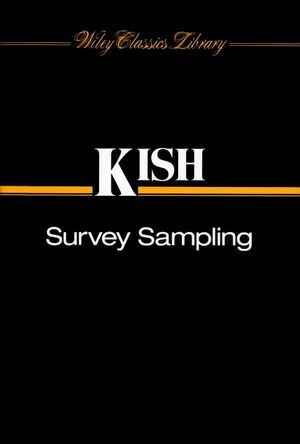 An accessible book on sampling techniques with emphasis on and illustrations from surveys of human populations. Explains how to design and execute valid samples of moderate dimensions and difficulty, avoid selection biases and how to become more adept at evaluating sample results, judge their validity and limits of inference, applicability and precision. 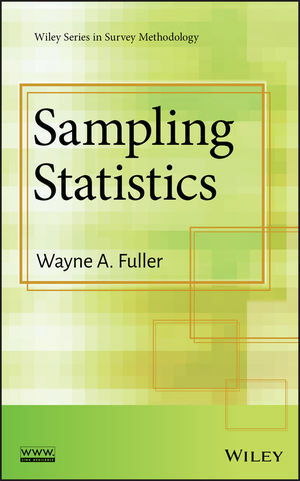 Contains numerous practical procedures, the domestic arts of sampling along with its science plus invaluable tricks that are usually learned only in apprenticeship. Leslie Kish, PhD, was a Professor at the Institute for Social Research at the University of Michigan. He was President of the American Statistical Association in 1977 and was a Fellow of the Royal Statistical Society and the American Academy of Arts and Sciences. Selection with Probabilities Proportional to Size Measures(PPS). The Economic Design of Surveys. Some Issues of Inference from Survey Data.